When you look at just the list of breweries that have been announced so far you know that this event will sell out…and it will sell out quickly. I know of some other breweries that are not listed yet so the list is going to grow by a few more. I honestly believe this is a game changing event for the week, so don’t miss out on the first one! It will be a lot of fun and a great chance to try some hard to find and taproom only specialties from all the breweries there. Here is a link to a Denver Post article with a little more information and below is the official announcement that Chad sent out a few days ago. I hope to see you there and meet up with you! 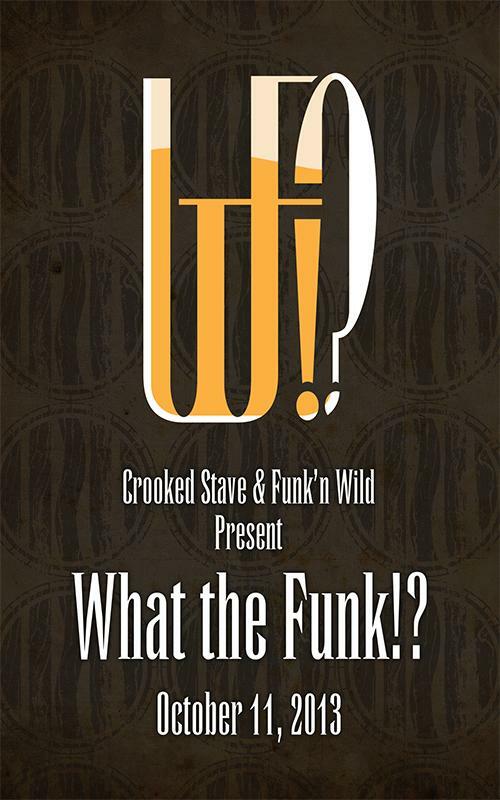 Join us for the inaugural year of What The Funk?! an invitational festival showcasing all things barrel-aged, wild, sour, and funky. These beers push the boundaries of style, often blurring the lines between beer, wine, and spirits. Every year there is an amazing gathering of brewers and aficionados for GABF and Denver Beer Week. This year we’ve thrown our hat into the ring to bring together some of our closest friends and brewers who are making exciting beers. The plan was, invite 30(ish) brewers from across the US to pour their exciting barrel-aged and most creative beers in a forum where these beers are best spot lighted! With the brewers on hand to talk about the beers, this is sure to be a unique event amongst the many quality events throughout the week. The following breweries will be joining us in 2013 for WTF?! …with more brewers still to be announced..
Crooked Stave Artisan Beer Project – obvious I know.. This will be a catered event with food provided by Jensen Cummings, Chef of the Slotted Spoon in Denver, CO. We are finalizing the goods with Jensen and will have more details soon. Tickets go on sale September 3rd @ 10am MST. Set your clocks! Click on the link below to purchase tickets. @ 1770 Sherman St. Denver, CO.